Víctor Villalobos Arámbula, Mexico’s Secretary of Agriculture and Rural Development, and Manuel Otero, the Director General of the Inter-American Institute for Cooperation on Agriculture (IICA), have committed to redouble joint efforts for the benefit of the Mexican agriculture sector. Victor Villalobos Arámbula, Secretary of Agriculture and Rural Development of Mexico, meets with Manuel Otero, Director General of IICA, and Diego Montenegro, the Institute’s Representative to that country, with whom he discussed the joint development of projects to benefit the Mexican agrifood sector. Mexico City, 2 April, 2019 (IICA). 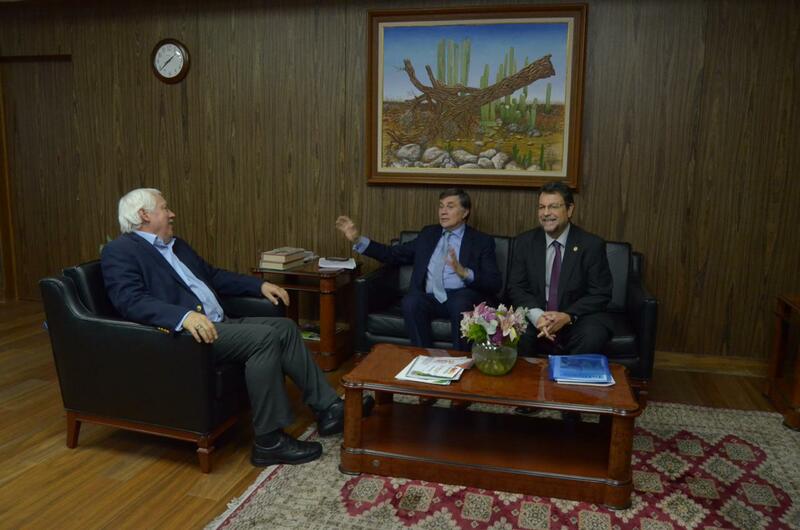 - Víctor Villalobos Arámbula, the Mexican Secretary of Agriculture and Rural Development, and Manuel Otero, Director General of the Inter-American Institute for Cooperation on Agriculture (IICA), agreed to redouble joint efforts to strengthen the country’s agrifood sector. Diego Montenegro, IICA Representative in México.